Take the Processor to the Data Source! 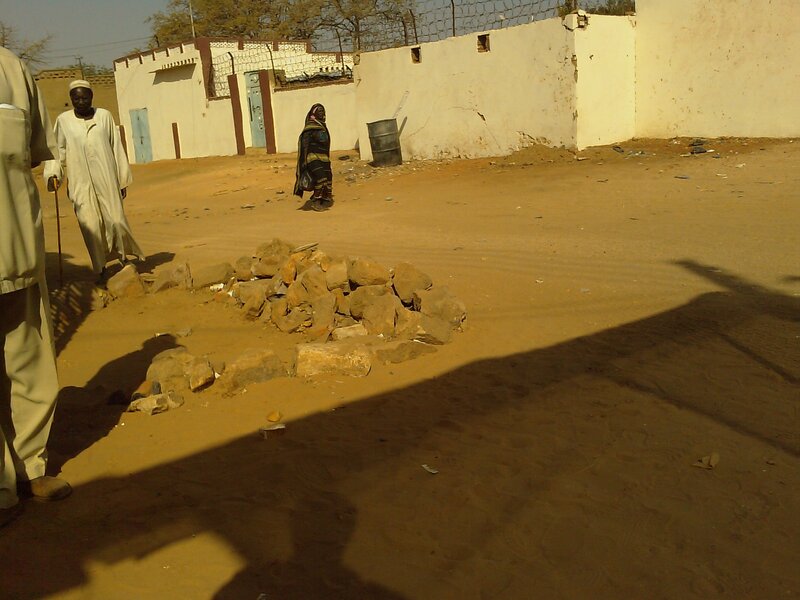 It has taken quite a while for me to process my time in West Darfur early this year. 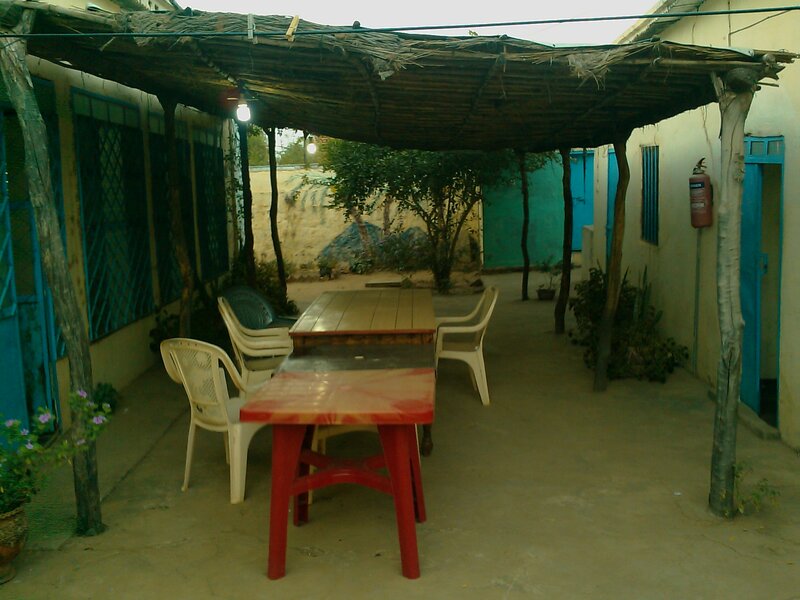 After a couple of days staying at another nearby guest house, I moved into the bachelor quarters of the Save the Children Darfur Director of Jerry Farrell. Jerry is one incredible person. I loved sitting in the courtyard drinking tea until late in the night under generator lights listening to Jerry. My room at Jerry Farrells' guest house - quite nice! Gun shots were not an unusual sound to hear after sunset. 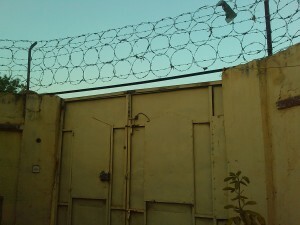 We never ventured outside our compound walls after dark. One evening as we discussed the need for rebuilding in Gaza, I saw Jerry straighten up and a slow smile came to his face. I heard up the road whistling and drums faintly approaching. Jerry said, “you are in for an experience you’ll never forget”. He was right. A group of women were escorting, amid singing and dancing, a new bride to her husbands house. We were unable to venture outside, or to even crack our 10 foot high steel door for a glimpse of the wedding party. But, I did hear the gaiety and celebration of the brides’ friends of the shrill high-pitched whistles and the banging on the drums. I could imagine the dancing revolving around the bride as the progressed down the street towards a new life. 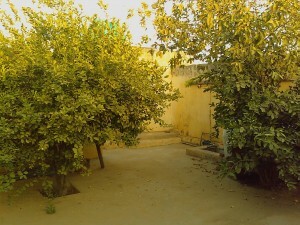 The garden of the Save the Children Darfur Director - an orange tree in blossom! My primary reason for visiting the Save the Children mission in El Geneina was to conduct an assessment of using PDA’s for mobile data collection. This had not been accomplished yet, and is part of the reason I was asked to conduct the detailed training sessions to support the last effort. Unfortunately, due to the insecurity of the area, there would not be opportunity to conduct field testing before I returned to Khartoum. I did have an opportunity to briefly visit the Krindling II refugee camp of over 40,000 internally displaced persons (IDP’s). I also was taken to an area outside of El Geneina to observe the activities involved in the distribution of food commodities to residents of the refugee camps. Unfortunately, i was unable to take any pictures. I wish I could of asked the men in the troop carrier for a picture that raced past us on the way to the food distribution that was bristling with rocket launchers. By the look on our drivers face, I doubt that these men were of any legitimate military force. I have seen field food distribution programs in many countries – Haiti, Bangladesh, Bolivia. The one here in El Geneina was probably the best managed operation that I had seen. As we arrived, I noted the orderliness of both staff and the beneficiaries. 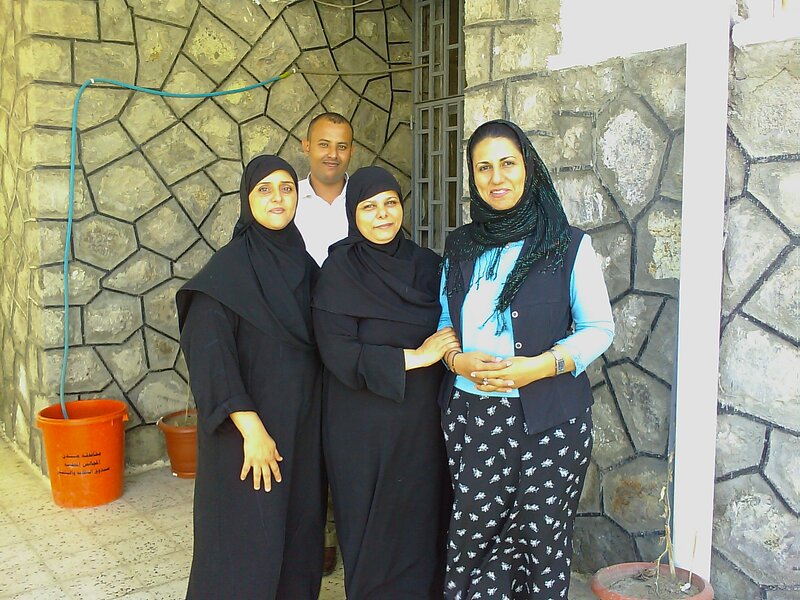 My staff host described how that the arranged that each group of beneficiaries selected a single person to actually enter the food distribution area on behalf of the entire group. As we entered the distribution area, I saw the familiar bulk commodities of USAID -provided wheat, vitamin A-fortified cooking oil, lentils, sugar and iodized salt. All of the commodities had been flown into El Genenia by the World Food Program (WFP). 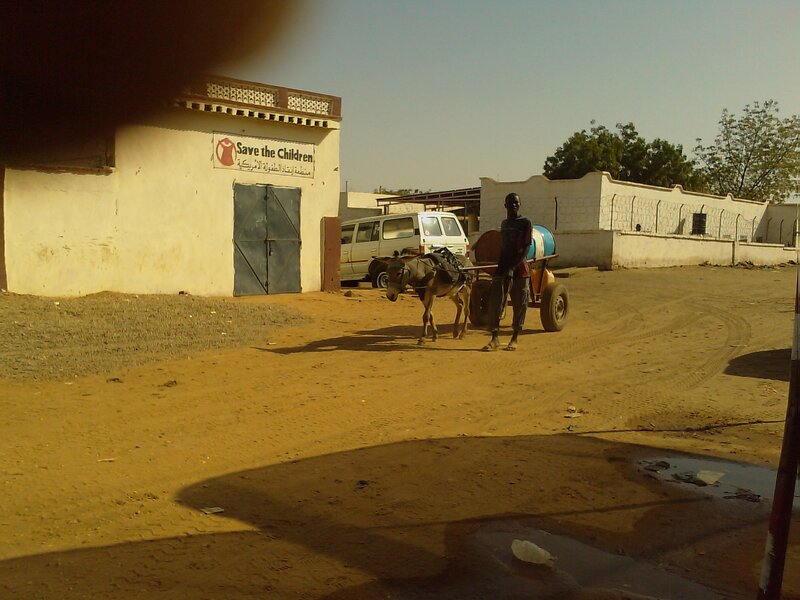 Save the Children then handles the logistics of warehousing, and commodity distribution to the many locations throughout West Darfur. As the group representative entered the distribution area, that person would be conducted to each commodity grouping. As always, as I have seen all over the globe, the metal cooking oil containers are passed on to the beneficiaries since the can be utilized for for cooking pots and a myriad of other uses. After each representative exited the distribution area, they returned to their representative group. I paused up our own exit to watch the women then re-package and redistribute the commodities for return to their individual households. I noticed few men in the groups of women sitting under the scattered trees. I asked about this, even though I was confident of the answer. It was explained that the women are charged with matters concerning food. But the staff member said that they found the the distribution process was less volatile when men were absent. I was then taken over to a thatched-roofed structure to observe a monitoring and evaluation activity in involving the post-distribution of the commodities. The Save the Children Monitoring and Evaluation (M&E) officer selected women randomly (I was unaware of the random selection design process) to have their recently distributed commodities measured to ensure correct weight. This activity primarily was to provide qualitative measurement of the programs effectiveness, but also to visibly demonstrate the fairness of the distribution. Each participant selected had their commodities weighed on a suspended scale to ensure accurate weight and/or volume and the results noted by pencil on a monitoring paper form upon a clipboard. The sampling was a small fraction of the actual distribution but would yield invaluable statistical data for later program quality analysis. 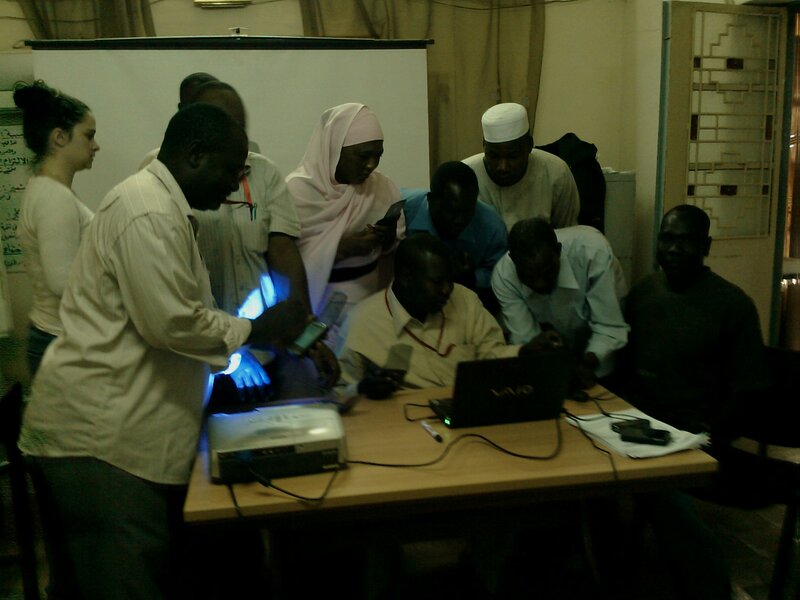 I was most interested in this M&E activity which I eventually recommended for a sustaining mobile data collection implementation using the PDA’s that I thought would remain with Save the Children’s mission in West Darfur. I realize that the picture above of the two lovely ladies is difficult to view. 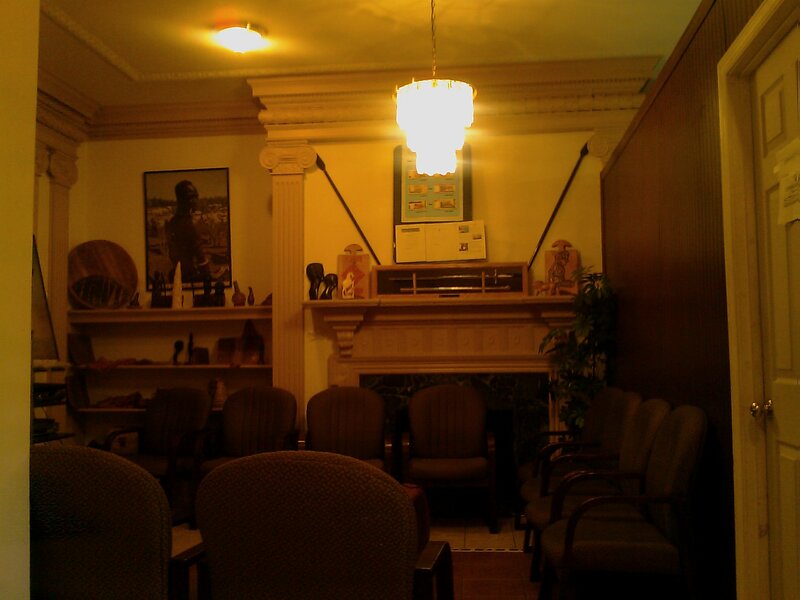 I had arrived early to the training room before the generator had been turned on to provide lighting. 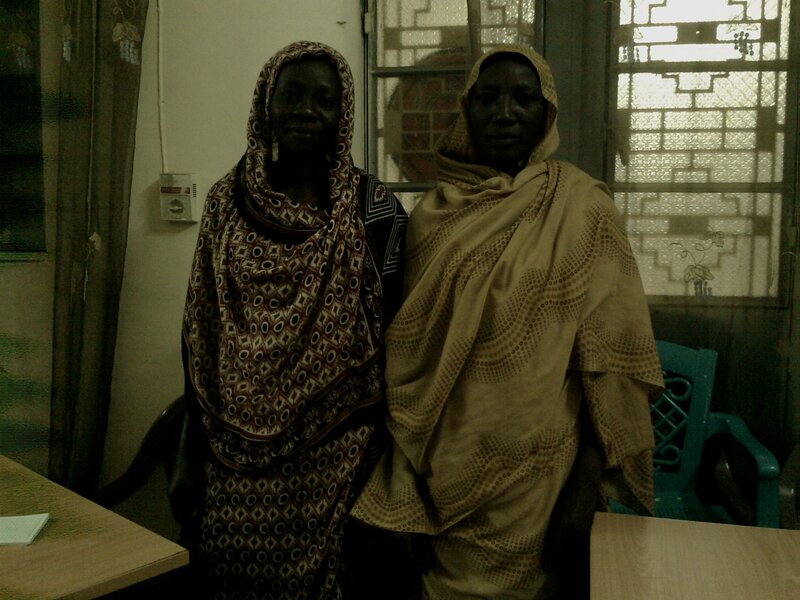 These two ladies are the ones who came in before and after the training sessions to arrange the chairs and tables, sweep the floor and bring in tea and snacks at break. Culturally, since this was a largely Muslim area, I was cautious about approaching or speaking to the ladies. Well, that morning as I was setting up the equipment, i noticed that the two ladies were standing silently towards me. 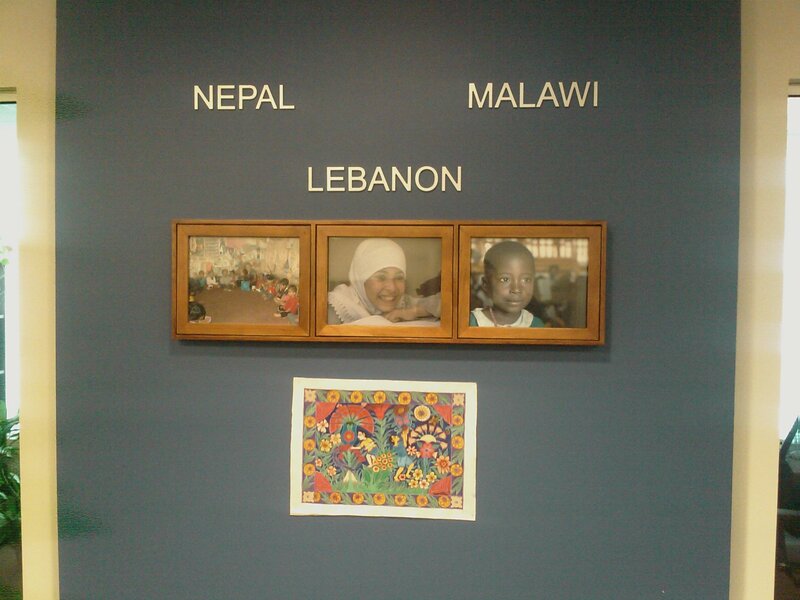 I glanced up, and not knowing but a tiny bit of Arabic, I smiled and found them gesturing towards themselves. I realized that they had seen me taking pictures during the prior class sessions and that they wanted me to take their pictures. In spite of the ban of photographic equipment (my PDA camera is hard to spot) and lack of written permission, I accommodated them. I have encountered this before in other countries. I patiently gave them time to position themselves and to carefully arrange their clothing. 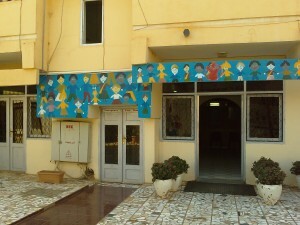 I smiled and genuinely effused over their arranging of coverings as they prepared. I was humbled and honored. These ladies likely live nearby in the refugee camps supported by Save the Children and live in dwellings made of mud and branches. 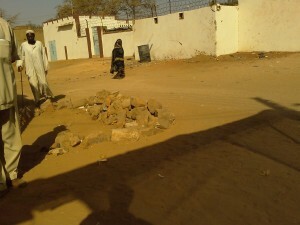 They risk walking into the town along roads frequented by armed men who look to victimize the helpless and vulnerable. Their courage overshadows anything I was doing during my brief stay in Darfur. I live an easy and safe life. But, still, each morning when I arrived I went to the doorway of the kitchen to greet the ladies brewing tea and plucking the chickens for the 11 AM Fatour breakfast. In their own element, I found the ladies quite animated and demonstrative. We both got a delight when I popped my head and and made a big fuss over their meal preparations. They, I think, enjoyed it even more after I withdrew from the kitchen, as evidenced by their loud comments to themselves over my brief presence. In-classroom training is only half of my work. Wherever I go, if security and logistics allow, I stress weeks before my arrival, the importance of taking the trained staff out to an actual field location to test in situ their PDA forms. From a technical perspective, it always work in the classroom or office. But frequently, almost invariably in fact, I want the staff to discover how that there are subjective causes in the field environment that cannot be anticipated away from the context of experience. How often have I heard declared after a half an hour of field testing at a school or health clinic, “This doesn’t make sense now”. 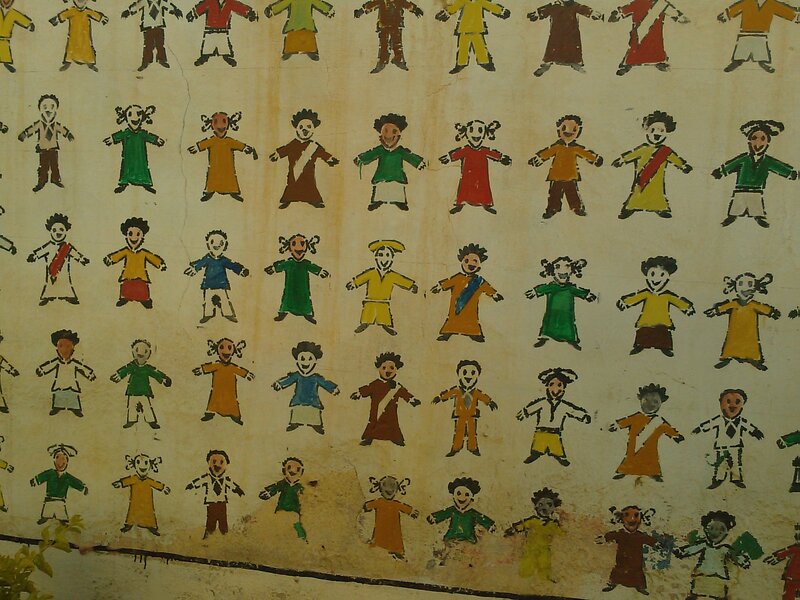 This is often the case with well meaning survey forms that are designed with the focus of obtaining data for monitoring and evaluation purposes, but do not take into account the cultural and environmental contexts of the actual use. My mantra has become, “if it does not work in the field, then it does not work“. You had better test it in the field before you actually embark on the actual survey activity. This goes for both paper-based and mobile data collection efforts. I was informed that my class would consist of about thirty-five persons. When I was informed of the class size, I replied, “Well, the more the merrier!” Optimally, a class of six to ten students makes for an effective group and allows for myself to provide individual attention to each person. This is my element. The thrill of training for myself is only eclipsed by testing in field locations. Still, this class size would be a challenge. I seem to have spent a lifetime in instruction classes, either at technical forums or in college. Boredom quickly sets in – just watch the eyes and the chins! The training room would barely fit all of the tables and chairs and it was going to warm. I asked the persons setting up the room to please allow me pathways to the back of the room. I knew this presented another self-serving image of their guest, but it was vital that I have unrestricted access to move to each table of students. I love to interact singly with each student and it is most effective in gaining their engagement. I also have a habit of suspending my verbal instruction if I see that a group (typically near the back of the room) discussing something while I am speaking. What I have found is what they are discussing is often essential to the overall instruction. It is can simply be some point of clarification that I have missed, or more importantly, valuable new directions for their benefit. At first, I found this practice of asking the sub group if they would share what they were privately discussing that it would bring immediate suspicions of a reprimand. But, soon, the trust developed that I was vitally interested in what they had discovered. The instruction was to continue for three days. 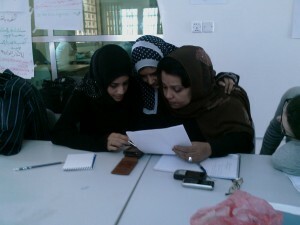 In the evenings I would work with the program manager and Monitoring and Evaluation (M&E) manager to design the forms. I would also stay up quite late to develop the following days’ training modules. This was the creative part. I not only developed the training objects for what they were learning, but also what direction that I perceived the group was moving towards. Of course, I used this to direct them to the training objectives so that everything was covered by the end of the instruction. 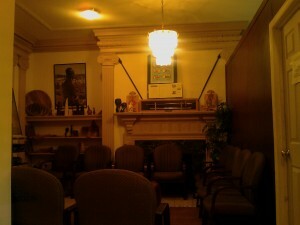 Still, room had to be given to accommodate the strengths and weakness of the group as a whole. I pay attention early in the instruction to the different personalities that emerge. I am ignorant of the individual skills and and organizational positions within the group. I always look for the dominant person who can tend to overpower the other group members to their instructional deficit. I also carefully look for the more reserved person to encourage them to speak by delicately providing them attention for the value of their opinion. Finally, I try to quickly deliver them technical training and to quickly move to having them actually do the work. I know that I am successful when I see an individual arise as the leader in the group performing peer-to-peer training. The quicker I can do a fade to the position as a facilitator and training support – the better. The point is not for me to simply instruct, but to build capacity in both the technical sense and leaving a expert clone of myself. I do not stay. El Geneina was not uncommon from other locations that I have traveled to, with the exception of the ubiquitous display of weapons. From the air, I could see the airport of destination surrounded my military placements, ranging from anti-aircraft artillery to bunkers. After processing and gathering our baggage (we were each limited to fifteen kilograms), I found the Save the Children driver for the short trip in to El Geneina. Immediately, I felt invigorated by the dry climate. Most of my travels take me to humid regions which I endure. The people were welcoming and quite friendly. I was anxious to get into the office as soon as possible. Even though I originally scheduled only three days here, I had that extended to two additional days due to the absence of the M&E Specialist. I was fortunate to be able to fill in – I had made it. 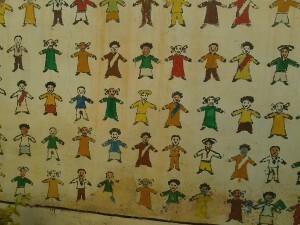 A funny story after my first day at the Save the Children office. Now, I have lodged at every venue from four star hotels to a mat on a floor – and everything in between. All is good. I can be comfortable and rest when I return to the U.S. 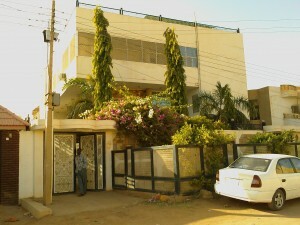 I was shown my ten foot by ten foot room at the guest house by one of the staff, and I was pleasantly surprised. Without thinking, I exclaimed, “Are you kidding me?” I mean, there was power (generator at night until 10PM) and cistern water available. I could not have had it better from my point of view. The look that was given to me by my host gave indication of the perception of a demanding and pampered visitor. Instantly, I knew that I had to right this misperception. I explained that I was pleased that the room was so large and that I was not needing to share it with another staffer. I absolutely dread being a guest who is immature and needy. It is difficult already for staff in field. 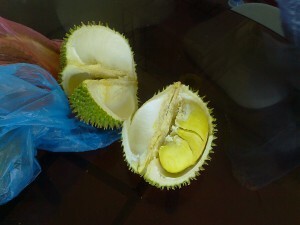 They do not need to be distracted from purpose with the whinings of an expat! As I anticipated, since I had little direct communication on this specific project, I knew that the impetus would be to immediately start building the mobile survey forms. I knew that I would need to rapidly respond to the deliverables, but I also knew that I needed to transfer as much knowledge and skill – building capacity – in the few days that I was here. I needed to avoid coming in a simply doing the work myself. Also, to the dismay of most people I train, the mobile forms are actually the last activity that is begun. First, I try to initiate a discussion with the primary stakeholders. This discussion serves a two-fold purpose; to learn for myself what is needed in both schedule and technical requirements (those hidden secrets embedded in paper survey forms! – see form example in prior post), and also to ask a lot of questions in order to see if the stakeholders collectively understand, and can articulate to themselves, what they needed to deploy. Still, I was not their for my benefit, and I have learned from long ago that expediency is vital. The survey design was complex. The program manger wrote in the requirements that it would take two hours to conduct the interview for each person being interviewed and would involve over two hundred questions in the sectors of water and sanitation, food security, livelihoods, education and safety. In addition, the survey included many skip questions involving branch logic. Note:On March 6th 2009, the following was published by Save the Children USA regarding their, and twelve other NGO’s present in Sudan, expulsion from West Darfur. 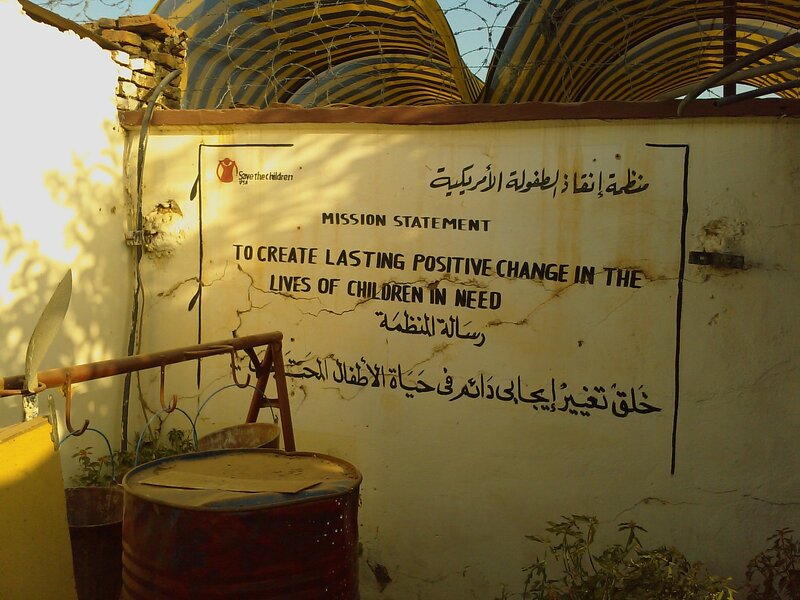 As Save the Children was completing its fifth year in West Darfur, we received a letter from the Sudanese authorities asking us to suspend operations in northern Sudan. We were among 13 international aid organizations — including our sister agency, Save the Children UK — to have their registrations revoked. No reason was given for the action. As a result, save the Children was forced to suspend operations and evacuate all expatriate staff from the country and to relinquish most all agency-owned materials. I left one month prior to the expulsion. As you may tell from my thumb-obstructed image of the water vendor, I had to be careful in taking pictures while in El Geneina. I admit, that I was aware that photographic/recording equipment was prohibited in Sudan without prior approval of the government. Therefore, I have very few images captured during my visit. this is not unusual for locations that I visit, where either culturally or officially picture taking is either forbidden or discouraged. Normally, I follow the Save the Children guidelines of not publishing any any image of staff or children with eight or less individuals without explicit written permission. Here, I received added caution from staff, and I certainly did not want to be the cause for putting the mission at risk. Even though I was able to visit a refugee camp and the activity at a food distribution point, I did not return with any pictures from either location. 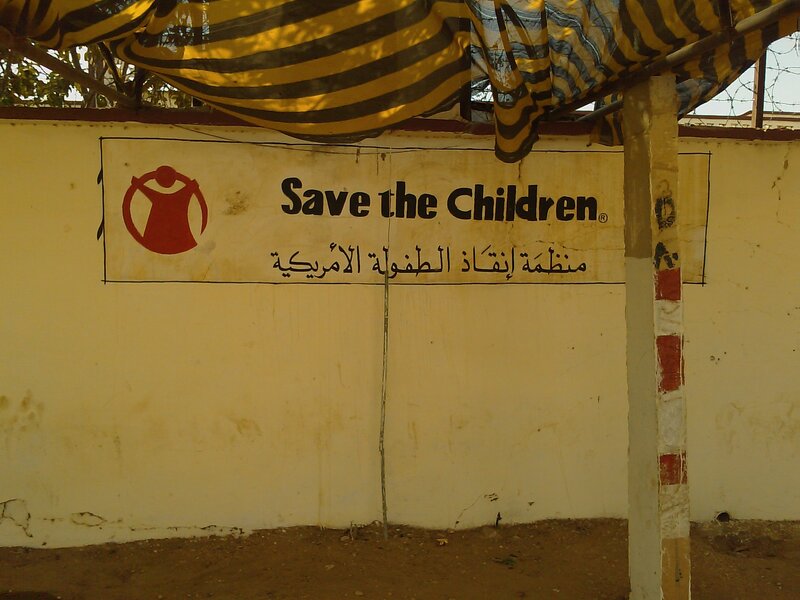 Save the Children USA has been in Sudan for twenty-five years and for five years in West Darfur. My purpose in El Geneina was two fold. First of all, I was here to conduct an assessment of their programs to determine value for using mobile data collection systems. I would also evaluate their overall information management systems. 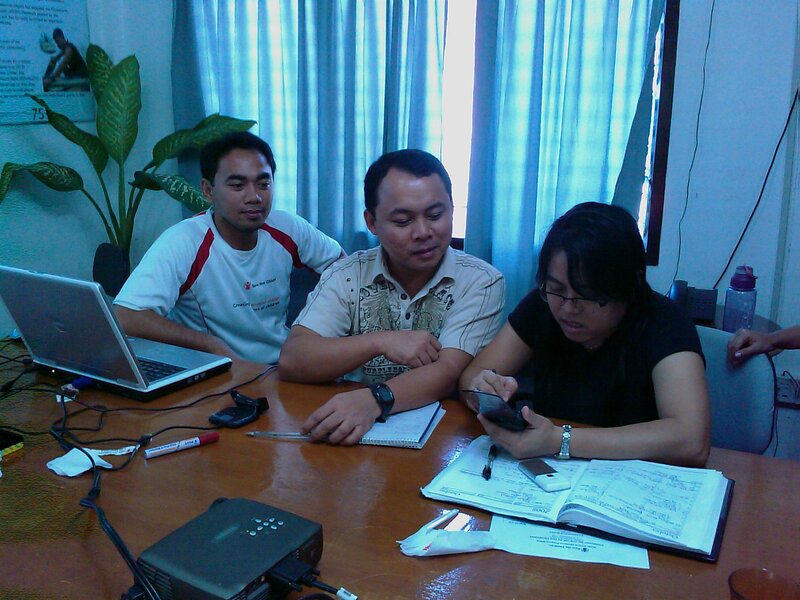 Eventually, I would focus my assessment on the food security monitoring and evaluation data gathering activity. However, there were already sixteen Ipaq PDA’s here from a prior project for me to become involved with. 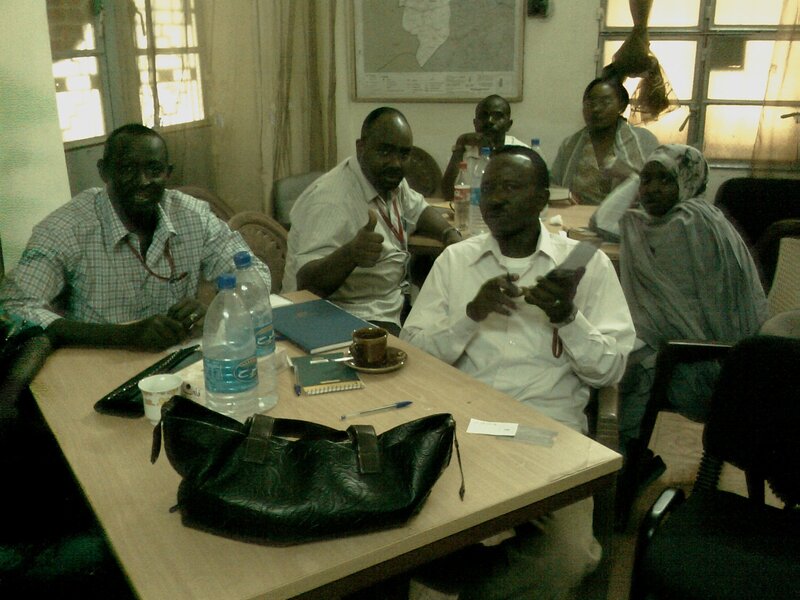 Late in 2008, just before leaving for the Save the Children offices in Bangladesh and Myanmar, a proposal for mobile data collection was accepted for the Darfur mission by the Monitoring and Evaluation (M&E) group at the Save the Children office in Washington DC. I had little time prior to my departure to order the hardware and software, in addition to provide the training – all over the phone and via email. The Washington DC based M&E specialist quickly became skilled in developing a series of forms using the Pendragon Forms Manager. The specialist then traveled to El Genina with the PDA’s and provided training to the staff and assisted in designing the mobile data collection forms. 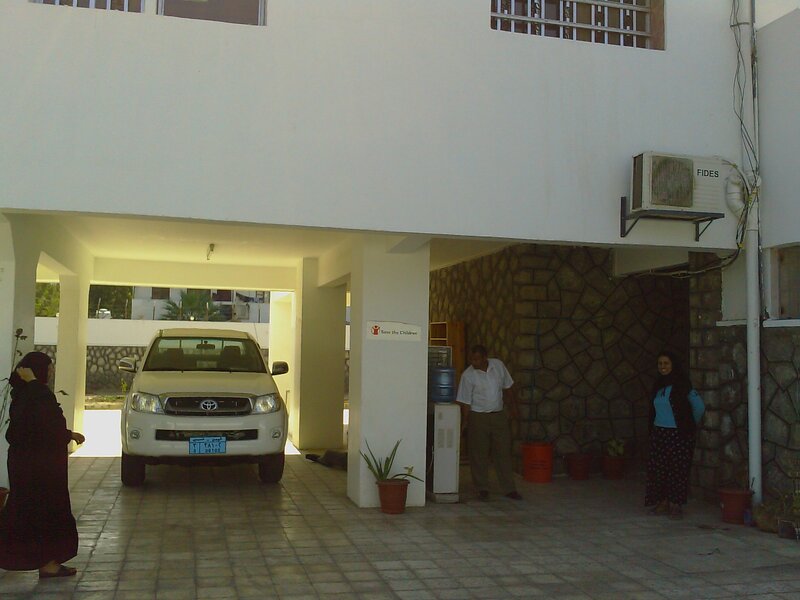 Before my arrival in Sudan, I spent a week in the Save the Children sub-office in Aden, Yemen providing an assessment and training in mobile data collection. Prior to departing from the from my home base in Arlington, WA USA, I spent a few days with the M&E Specialist in Washington DC augmenting the training in the devices and forms software. I was also helped greatly by her to obtain my Sudan visa at the embassy located there. Sudanese Embassy in Washington D.C. 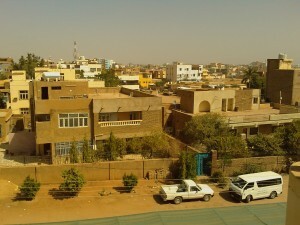 The plan was to arrival in the capital of Khartoum, await approval of my travel permit to El Geneina. I would evaluate several programs, including food security, health and education, being deployed to assess if mobile data collection could be implemented. Then, I would provide followup training to thirty-five staff in use of the PDA’s, and also provide technical training in the use of the forms software. As usual, plans change. Due to the deteriorating security situation in Sudan in general, and West Darfur in particular, the Wash D.C. M&E Specialist trip was cancelled. She was to arrive a a couple of days after my return to Khartoum form El Geneina so that we could compare activities and then she would continue on to El Geneina to provide support for a multiple sector survey. This was to be a huge survey across health, education, livelihood, etc. encompassing many hundreds in beneficiaries. It was to a be a considerable undertaking. So, just before I left Khartoum on my World Food Programme – leased flight to West Darfur, I found that I would be the only person present in El Geneina to provide the training for the multi-sector survey. I was glad that at least I would be on-the-ground, but I would have to quickly become informed about prior planning and form design activities. I was aware before I left the United States that I would need to submit for a travel permit to travel outside of Khartoum. I turned in my passport to the Logisitics officer for submittal to the agency for my travel permit to El Geneina in West Darfur. I was told it would only take a couple or three days to process. Then, I would take a United Nations charted flight to the project area. The Save the Children office was only a couple of blocks aways from my guesthouse. It was a dusty dirt road, and I was wishing it was a longer distance since walking provides such a greater opportunity to view and possibly interact with the area. 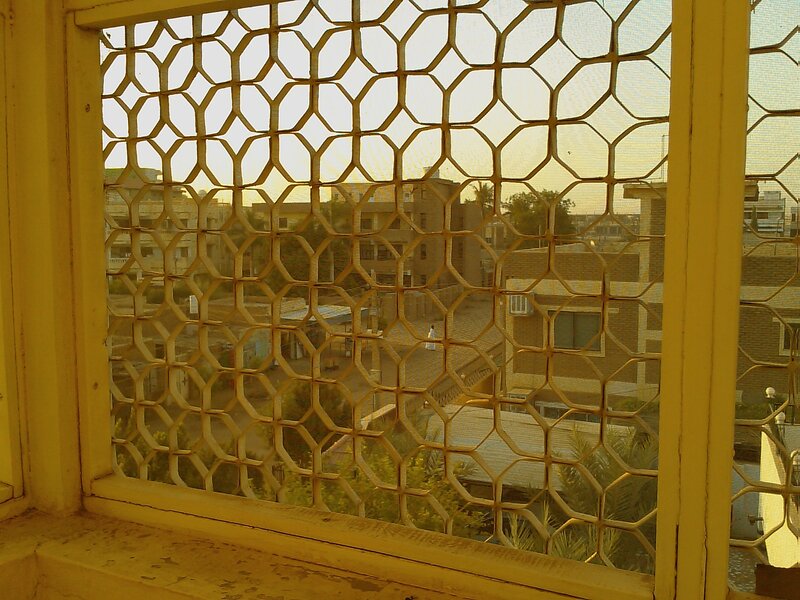 Still, I was unsure of the security of the area (Khartoum, it turned out, was quite safe while I was there) and I was thankful that a driver was not required to take me to the office. I shared the 3rd floor of the guest house with another consultant named Andrew Epstein. we each had our individulle room with a shared kitchen and bathroom. 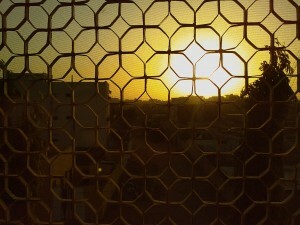 It was very much to my liking, but I could see that it could become quite warm during the dry season. Andrew was working on a Monitoring and Evaluation plan for an Education survey in South Sudan. I really liked Andrew and enjoyed talking with him in the evenings. It had been taking some weeks to arrange for this trip on behalf of the Save the Children office. The administrative and logistical arrangement forbode that this would be a somewhat different visit. I had no idea how much this would entail when I arrived. The United Nations International Crime Commision (ICC) was preparing to issue an indictment against the President of Sudan. In fact, the Monitoring and Evaluation Specialist from the Save the Children office in Washington D.C who had preceded my efforts had her trip cancelled due to security concerns. 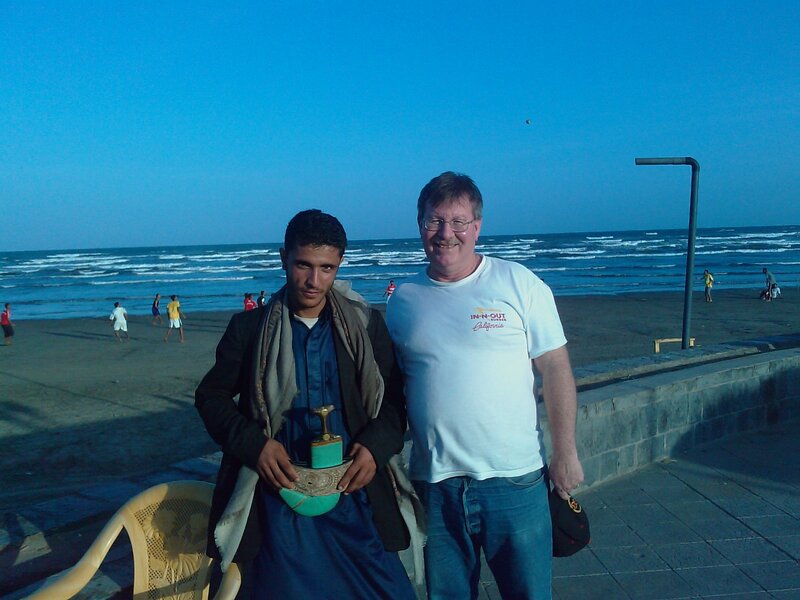 I was thankful that I would be on the ground and be able to integrate that project into my trip as well. 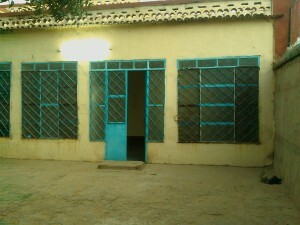 I would need to wait afew days in Khartoum awaiting my travel permit to West Darfur to be processed. I wasalso advised that image capture equipment and the taking of any pictures were allowed only by special permit. 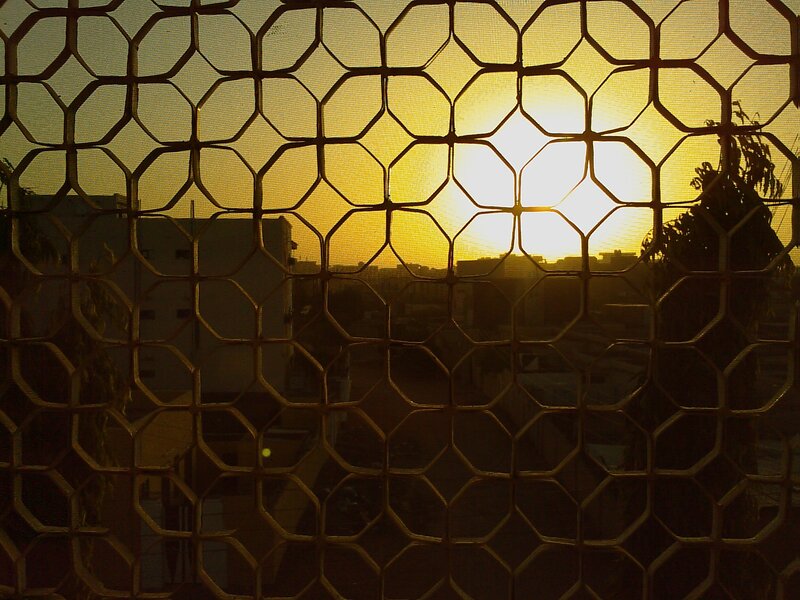 The weather waswarm and dusty, by over the next couple of weeks I found myself invigorated by the dry climate. I would eventually travel by air, via a turboprop flight, to the project area. I arrived in the Sana’a, the capital of Yemen early in the morning. 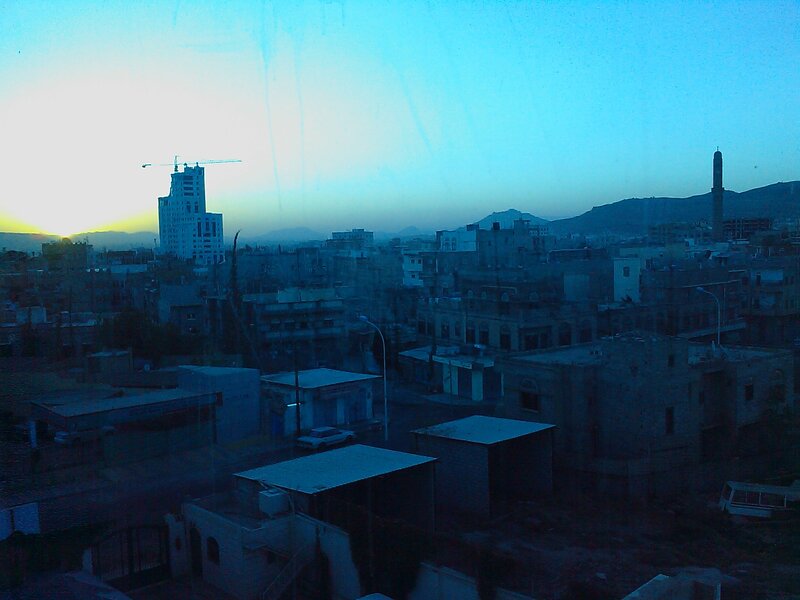 I was able to get a couple of hours of sleep before departing again for the airport to travel to the coastal city of Aden for the training and assessment. San’a is at a high latitude of over 7,000 feet. 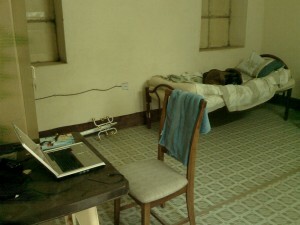 I settled into the guesthouse of the Area director and prepared for my first day of training. 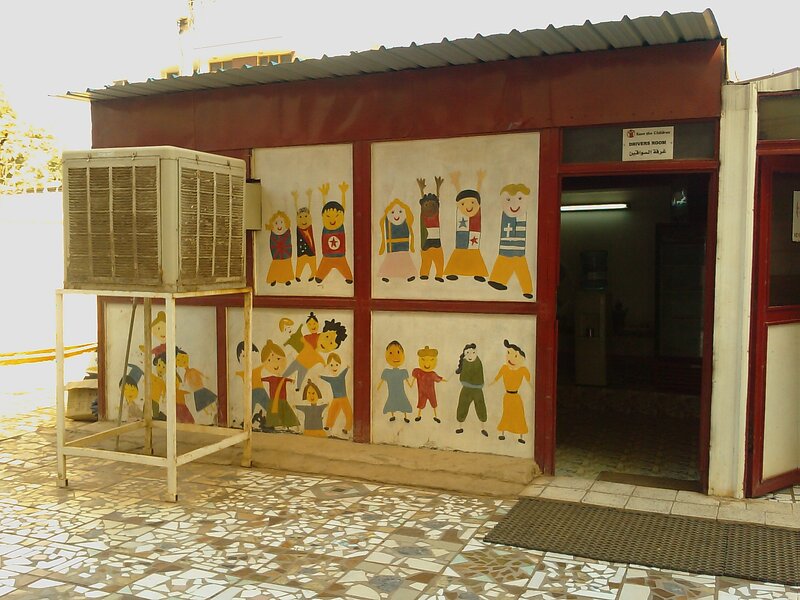 Save the Children is a Unified Presence in Yemen, composed of both the USA and Sweden Alliance members collocated. 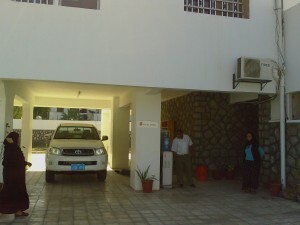 The staff were exceptionally friendly and welcoming. They integrated well into the training, although I had a challenge to utilize an Arabic virtual keoyboard into the forms development software that I generally use called Pendragon Forms Manager. 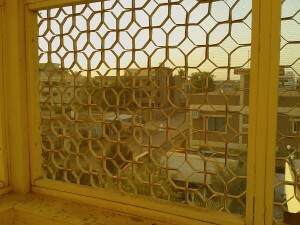 I was only able to spend a few days at this office, since I needed to travel onto the Save the Childrne office in Sudan. 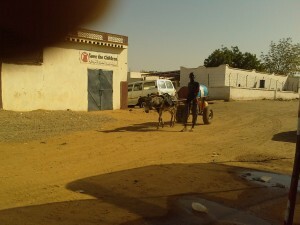 After a breif delay awating my travel permit, I would travel on to El Geneina in West Darfur. 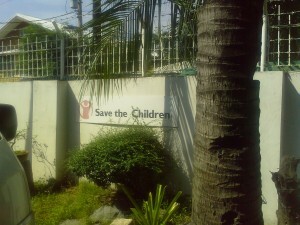 Already, I am nearing my time here at the Save the Children USA Philippines country office. 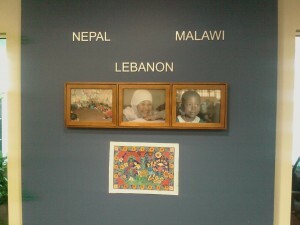 Nearly a week ago, I arrived from the Save the Children USA office in Islamabad, Pakistan. It is now Thursday, and it was yesterday that we arrived from conducting field training in Koronadal, which is located on the southern island of Mindanao in the South Central region. This is my second trip to this country office. I provided an assessment nearly two years ago. During that trip, the team and I visited several education programs in the Metro Manila area. 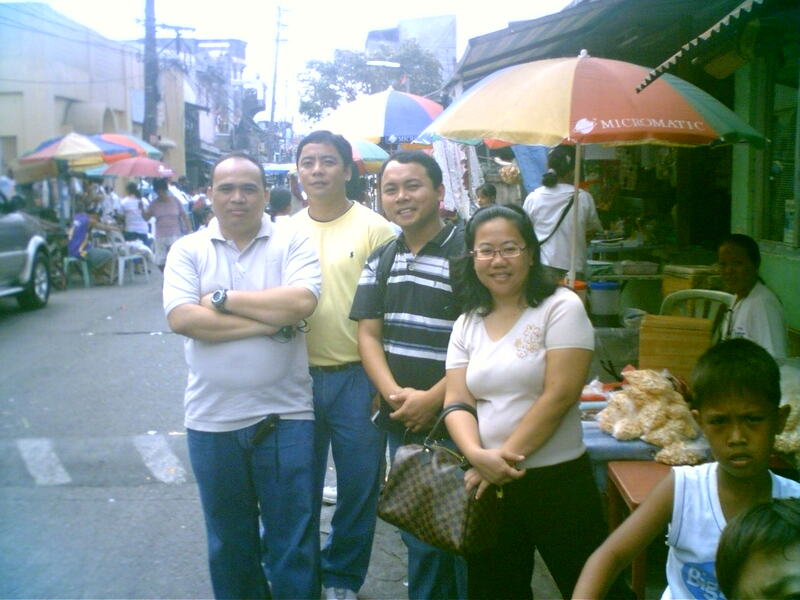 I recall our visit to the mayor’s office of the municipality (or,Barangay) of Bagumbaya south of Central Manila. There was a person who was encoding data from the over hand collected 2,000 survey forms. He had sat at this tiny desk in front of a computer and typed 5 – 6 hours per day for the past 6 weeks, which resulted in the completion of nearly 200 of the 2,000 family survey forms. The mayor responded that the encoders pay rate was approximately 200 Philippine Pesos (Pp) per day, or the equivalent of approximately $4.20 US per day. It was indicated that this summary data was critical to the joint plans of the Barangay and Save the Children in establishing the demographic profile of the municipality in order to understand, plan and implement family-friendly services. Additionally, this family census would determine the availability of funds directed towards these families. He indicated that, even though the 1st survey was complete with much time and cost expended, they were eagerly awaiting the final encoding of the data. It was noted that after this first encoding event, that the data would be re-printed and would require a 2nd validation survey to be conducted, with the resulting corrections, additions, and deletions to be re-encoded. In general then this required two entire iterations of the encoding process. That is a lot of paper and manual labor. 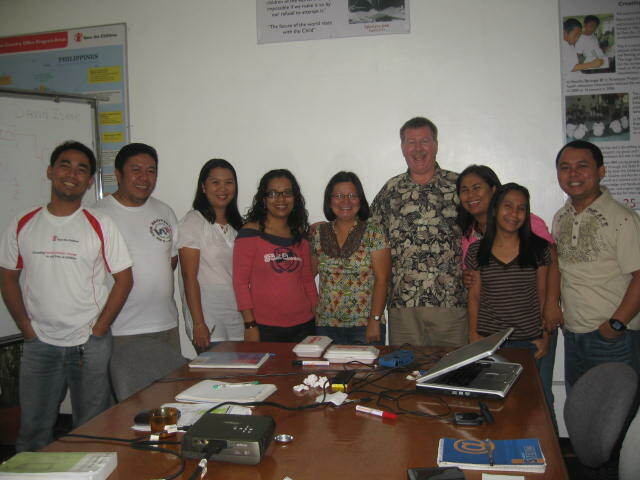 On this trip, I traveled to Koronadal train the staff in use of five sets of PDA’s that suddenly became available. There was a Save the Children staff member in the Washington D.C. office of Save the Children that had mailed me earlier in the year, and asked if I could use some PDA’s. The Philippines office responded to my offer of free PDA’s. So, here I am. "What is she doing with that PDA?" Yesterday, on the day that we left Mindanao from the airport in General Santos city, all of the people were astir due to the imminent arrival of Manny Pacquiao who had just defeated Oscar de la Hoya in an internally recognized title boxing bout. I have now returned to the main Save the Children office in Manila. There will be a meeting soon, where I will have an opportunity to provide a debriefing of our activities and give my recommendations for moving forward. 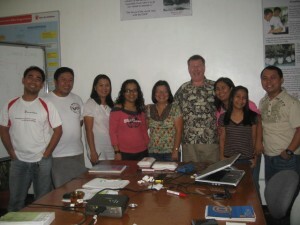 The group in Koronadal was energetic and quite enthusiastic. This office had only opened up about a year ago. They had a more-tan-capable IT person who also knew databases. I not only showed the team how to use the PDA’s and the Pendragon forms design software. 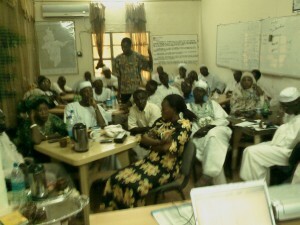 But, I also discussed at length an overall data management strategy with the PDA’s simply at the field level locations. 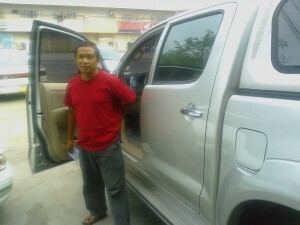 We arrived in General Santos City by plane from Manila and we were picked up by Julius, the Save the Children driver. I quickly found that he and I had a shared appreciation of music from my youth – Rolling Stones, The Beatles, Led Zeppelin and many others that I had not heard since the 70’s. Before I departed, I left Julius a couple of burned CD’s of my Rock ‘n Roll library.